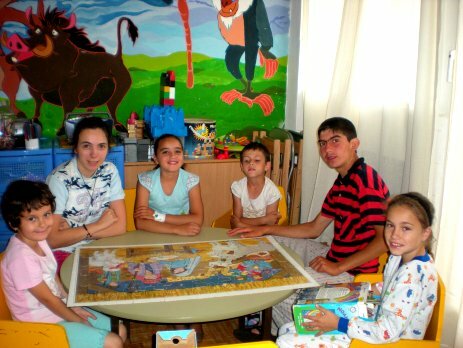 In August 2017, an Oyster childcare volunteer, Victoria Vuckovic decided to do all that she could to improve the lives of Romanian orphans. Victoria joined the Oyster childcare volunteer programme for 8 weeks from August to October, working with children in a hospital and in children’s home in and around Brasov, Romania. Her time was dedicated to playing with the children, helping them with their English and becoming a friend to many children who had been dealt a rough hand in life. Already Victoria’s presence on the projects made a real difference to the children, but she decided to go one step further. 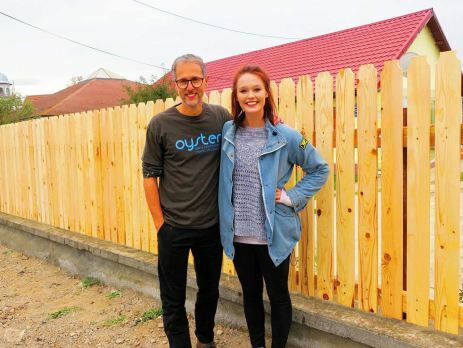 During Victoria’s first week in Romania, she visited a selection of children’s homes and hospitals to decide where to focus her volunteering efforts. One of the children’s homes in particular caught her eye and she chose to dedicate her time to working with the children there. The home is a loving and warm one, but sadly its garden and fencing had fallen into disrepair. The fence was dilapidated, the garden totally overgrown. The children spend the majority of their free time outside playing, exploring and chatting, but sadly the condition of the garden and the fence made it increasingly difficult for them to be there safely. Sadly, the funding to maintain the garden simply was not there, and the children’s cleanliness, food and accommodation had to take precedence. Victoria started a Fundly campaign to raise money from friends, family and Oyster volunteers so that she could take on the renovation that was so desperately needed in the garden. Working closely with the Oyster representative, Razvan, Victoria costed her plans and set to the task. She was not disappointed, receiving 435 USD to date from people supporting this venture. On Thursday 5th October, laden with paint, wood and other tools, Razvan and Victoria got to work on the outdoor area of the children’s home. 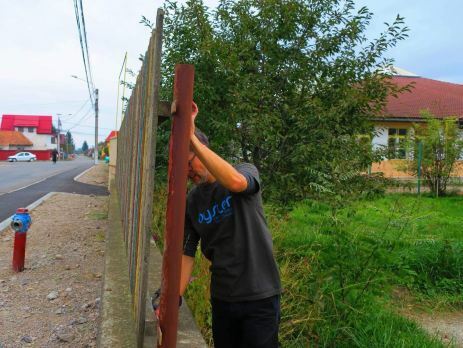 It was a full day, as they first had to take down the old crumbling fence before they could begin to replace it again. Interested onlookers surveyed their work, and watched the progress as one fence came down and the next fence went up. Luckily, the rain kept at bay despite the heavy clouds. Finally they were done, and the results look incredible! The children that call this place home will now be able to play outside in safety – well done, Victoria. In the early 1990s it was discovered that children in care in Romania were being forced to live in dreadful circumstances. Since then, huge steps have been made to improve the lot of children in care. The majority of Large state orphanages have been shut down, and the children placed in smaller children’s homes. These homes allow the children to have a semblance of family life, to learn to cook, clean and look after themselves, to go to school and to have a better upbringing. Despite this, the care system is still underfunded, with children’s homes such as the one Victoria volunteered in struggling to make ends meet. 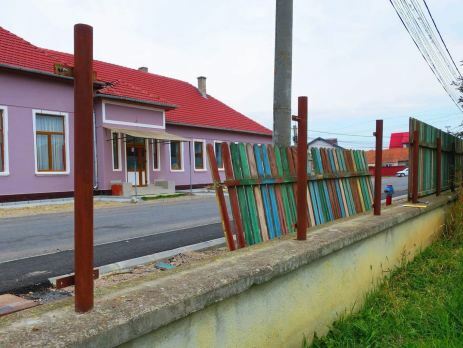 The world recession has sadly led to a decline in international funding to Romania, which means that the 60,000 children in care are often not given the best upbringing possible. Our childcare volunteers work with these children to become an unbiased friend, role model and confidante. The volunteer role includes games, play, English teaching and general conversation. The kids and the volunteers alike love it. 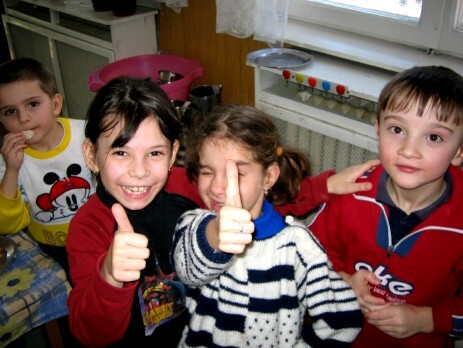 Oyster Worldwide has been sending childcare volunteers to Romania since 2003. Volunteers help in a variety of state institutions, from children’s homes to hospitals, from nurseries to schools. The staff love having the volunteers to help them, as they too are frustrated by the limits of what they can do. Staff are often so busy with the practical tasks of looking after the children in their care that they don’t have the time for the emotional side of it – just giving a child a hug or tucking them into bed at night. You can find out more about how you can help to make a difference by looking at our childcare volunteering website. Next Post Oyster are looking for trip leaders this summer!